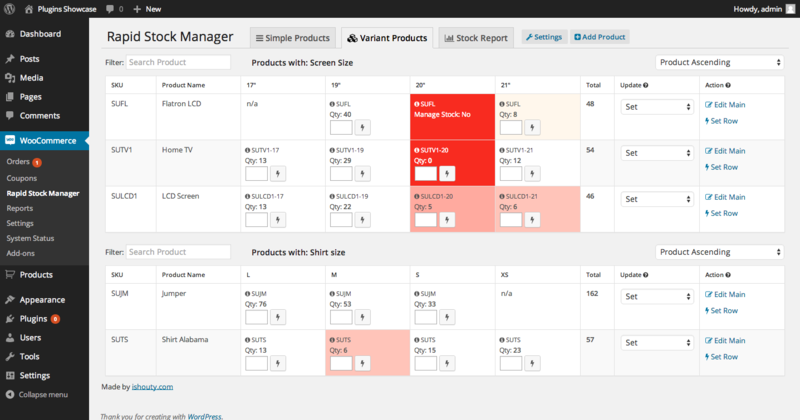 Rapid stock manager allows to update your stock inventory and variants sizes very quickly, displaying everything within one screen. 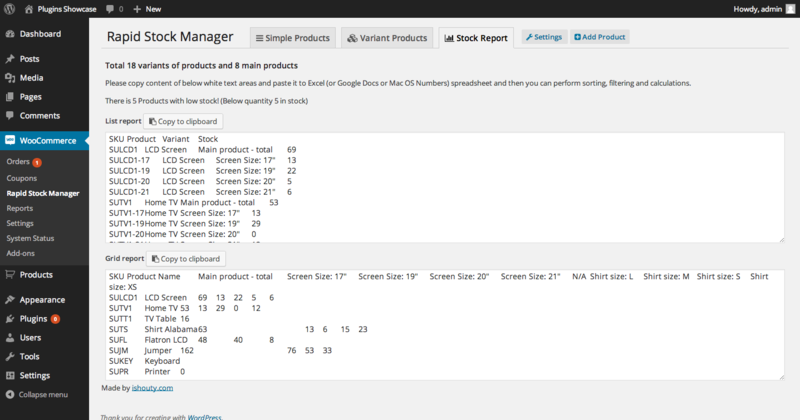 Automatically updating without reloading the page, so your stock inventory gets updated automatically. Friendly interface to allow you to access and update your stock with ease. Adjust your stock for any of the products (including variants), so your current stock is adjusted without effecting the inventory even if the users are purchasing the item and going through checkout already (Adjust function). Set your stock for any of the products (including variants), so your stock will be the value you entered. (Set function) Low stock indicator to allow you to know straight away what is in low stock to take immediate action. 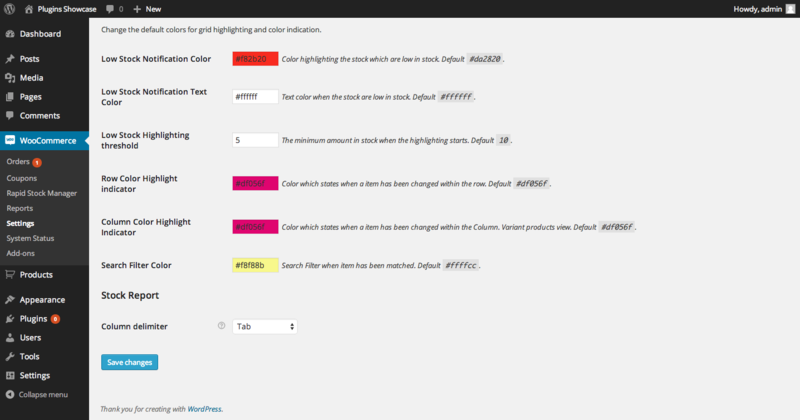 Row/column highlighting on products have been modified and need to be saved. Stock report to export to excel with available list or grid view. 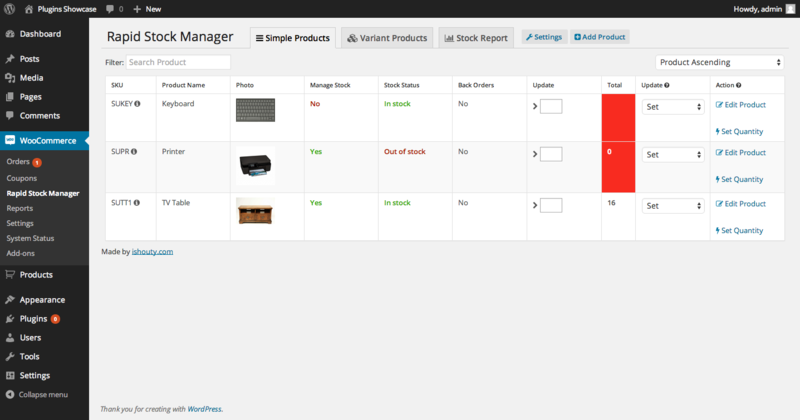 Now you can also manage stock across multiple warehouses (from version 2.0.0) and print transfer receipts and see stock audit for werehouses as well. Personalise your settings to give you more flexiblity of how you want to use your rapid stock manager and many more features! Get email notification when your products get low in stock. The demo server is very slow. Using Amazon Nano instance, so when using the demo site, please be patient. We don’t take any responsibility for other plugins you are running in your WP installation. There have been complains about our plugin not working with some another plugins we don’t even know. - Allow to set ebay, amazon, other links to each product to reference to third party links from rsm.